A Summary of Max Gunther's "The Zurich Axioms" for Entrepreneurs - SKMurphy, Inc.
Max Gunther’s “The Zurich Axioms” is aimed at investors but also offers valuable insights and rules of thumb for entrepreneurs. 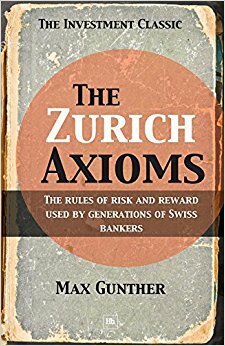 Max Gunther wrote “The Zurich Axioms” in 1985 as advice for investors to manage the risk and uncertainty of investing for high returns. It offers some practical insights about how to anticipate the psychological challenges of managing uncertain situations and that is my focus in this summary. I cannot say whether it offers much practical advice for investing. What follows is a heavily edited summary of the key axioms and their corollaries. Axiom 1: If you are not worried you are not risking enough. Life ought to be an adventure, not a vegetation, where you face jeopardy and try to overcome it. While facing jeopardy, your natural response is worry. Always play for meaningful stakes but don’t bet amounts whose loss would bankrupt you. I think most entrepreneurs are risk averse in that they focus on where their skills, expertise, and experience give them an edge. Drucker advises setting aside 20% of your budget to obsoleting your current offerings which is in line with the McKinsey 3 horizon model of 70% focus on near term payoff base-hits, 20% on longer term doubles and triples, and 10% on transformational home runs. One key is lopsided bets where the downside is small but the potential payoff is large. Axiom 2: Always take your profit too soon: short modest winning streaks are the most common. Decide in advance what you want from a venture, and when you get it, get out. Axiom 3: Cut your losses; you are right at most 50% of the time. When the ship starts to sink, jump. Take small losses to protect yourself against big ones. Accept small losses cheerfully as a fact of life. Expect to experience several while awaiting a large gain. I would say it’s a sound approach to tinker with a new product or service to explore several variations and refinements. Nothing new ever works. 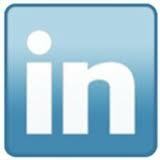 But if you find yourself looking for “smarter customers” then either your demo needs a dramatic improvement or you need to talk to new categories of prospects. It’s easier to abandon an idea if you are testing new offerings in small sets or batches so that your alternative is to try a pre-determined next approach instead of thinking “if we give up I am not sure what we should do next.” Plan two or three moves ahead but be prepared to update based on what you learn. Demographics and well established needs are a more reliable guide than an expert’s belief in a coming behavior change in a population. Axiom 5: Chaos is not dangerous until it begins to look orderly. History may or may not repeat. Unless you actually see a cause operating, beware of being fooled by correlation. Gambler’s Fallacy: there are no hot streaks or lucky days. Go and see. Do not accept what someone tells you for what you have directly observed. Past success is no guarantee of future performance. Axiom 6. Beware of getting too comfortable. Do not become trapped in a souring venture because of loyalty or nostalgia. Keep your eyes open to better opportunities at all times. I would make a distinction between being loyal to people and afraid of losing your status or expertise by moving to a new market. I think social capital–your business relationships and reputation–is very much worth preserving, but technologies and markets have a life cycle than seems to be shrinking. Axiom 7: Your intuition can be trusted if it can be explained. First determine if you have a rich enough experience base to have formed a viable hunch. Don’t confuse a hunch with a hope: put more trust in hunches about negative outcomes. This matches Daniel Kahneman’s advice to think about a problem as a member of a category instead of unique. If you don’t see the category or have not faced situations that “rhymed” then be careful of trusting your intuition. Axiom 8: No such thing as a sure thing. Axiom 9: Optimism is expecting the best, confidence is knowing how you will handle the worst. Never make a move if you are merely optimistic. Know how you will handle the worst. Pessimism applied constructively can increase your confidence by enabling the team to identify and mitigate potential risks and failures. Building on Axiom 7: be very careful of optimism based on ignorance, if you cannot define a category for your efforts and analyze at least a small set of related efforts or projects you should treat it very much as an experiment or proof of concept. Axiom 10: The majority is probably wrong: think things through on your own. Never follow a fad: the best time to buy something is often when nobody else wants it. If you are going to follow the herd in an important matter at least do your own investigation. Don’t assume safety in numbers for critical items. Axiom 11: Be persevering but not stubborn: don’t try the same thing over and over again. Focus on learning what works, not proving your first insight correct. Holding loosely to your hypotheses while making a significant investment to test them is a difficult psychological balancing act. It’s harder because the tendency is to fall back on the consensus view or to refuse to admit you were mistaken. 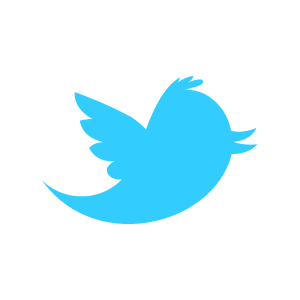 “I’m wrong about that.”–one of the handy sentences. Axiom 12: Be cautious about long range plans. Planning is useful but you must adjust as you go. Periodically evaluate all that you have invested in. “Plans are worthless, but planning is everything. There is a very great distinction because when you are planning for an emergency you must start with this one thing: the very definition of “emergency” is that it is unexpected, therefore it is not going to happen the way you are planning. Victor Niederhoffer: The Zurich Axioms by Max Gunther is one of the worst books ever written.